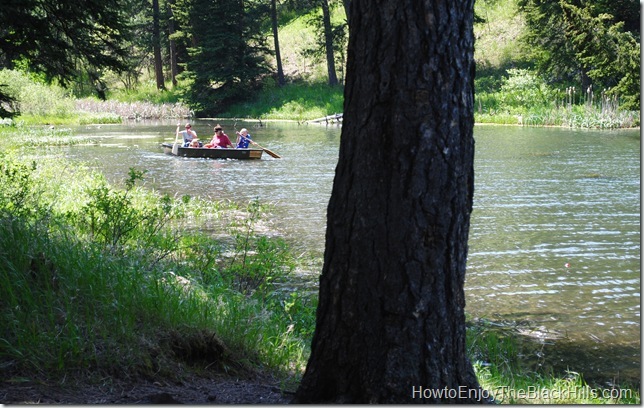 This little Black Hills Lake was built in 1930 by the Civilian Conservation Corps. They also built the campground and the nearby Ski Slide and Jump. The now overgrown ski area, was the first in the area. The day-use fee for the area is $4 per vehicle. This tiny lake in the Black Hills National Forest is a great place to paddle around in a little boat or go fishing. There are a couple of fishing docks on the campground side of the lake. This is a small 10 site campground (plus one more for the host). Reservations are not accepted, so it is first-come, first-served. The campground lies on one side of the lake and all sites have a fire ring. Camping fees are $17 per night. There is a vault toilet and fresh water is available. 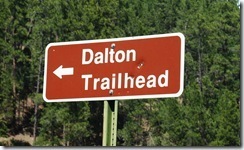 Dalton is 6.1 miles north of the Boxelder Trailhead and 12.8 miles south of the Elk Creek Trailhead. The portion of the Centennial Trail north of here is pretty isolated. It is a great area to hike, mountain bike or horseback ride and have the trail to yourself most of the time. Turn off FH road 26 (also known as Vanocker Road) onto road 224. Travel through the beautiful Little Elk Meadow Canyon for about five miles. There are brown and white forest service signs guiding the way. 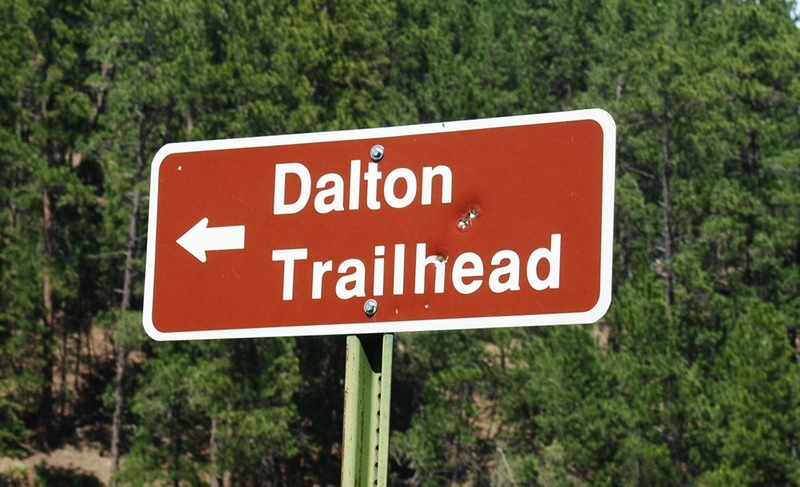 Visit the Dalton Lake Campground page on the Black Hills National Forest website for more information. Nice looking place, but too expensive to camp at. Sand Creek is free and so is the backside of Orman. Tent camping should not cost so much. We love Dalton lake. Except the campers that have no respect for other campers, riding there ATV around and around inside the camp site leaving other campers breathing clouds of dust. Can’t there be a sign no ATV riding in the camp?